Reigning champions Kilmacud Crokes had to summon all their resources to fend of a battling Ballymun Kickhams in this well-contested Dublin SFC1 Group 1 tie at Parnell Park on Saturday night. After trailing by four points, 1-6 to 0-5, at half-time, having played into the wind the Mun threatened on a few occasions in the second period to reel in their opponents but on every occasion Crokes responded to protect their advantage. 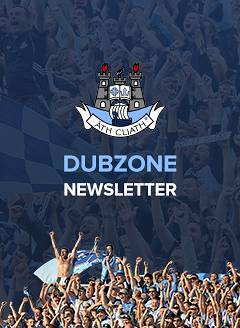 No player was more influential in this aspect than Dublin senior Andrew McGowan, who apart from kicking three fine points, drove his side forward when required. The match-winning goal came in the 59th minute when sub Stephen Williams fired to the net, his shot taking a deflection off of Alan George en route to the net, following another penetrating run from Andrew McGowan. Rory O'Carroll made a solid return to Dublin SFC action at full-back but this liberated McGowan to the half-back line where he prospered. Crokes first half goal came in the eighth minute when the pacey Shane Cunningham was fouled by Philly McMahon and Paul Mannion converted the penalty to give his side a 1-1 to 0-1 lead. The Stillorgan side were the better in the opening exchanges but were twice denied goals by the reflexes of keeper Seán Currie. But at the other end Kickhams' Anton Swann took a point with the goal at his mercy after Dean Rock accelerated in along the endline and squared the ball. At the other end Dean Rock and Paddy Small threatened sporadically but Kickhams did not really enjoy any sustained periods of pressure in the opening half and could have been further in arrears at the break. However, with wind advantage they restarted with vigour and were rewarded with excellent points from Jason Whelan and Dean Rock to close the gap to 1-6 to 0-7 by the third minute of the second half. Crokes rallied with scores from Callum Pearson and a Pat Burke free to regain their four-point cushion. By the three-quarter point the Mun put on a strong surge and points from Alan Hubbard, Ted Furman, a brilliant point from the right wing, a Rock free and a well worked Liam O'Donovan score saw Kickhams outscore Crokes 0-4 to 0-1 in this spel and with 12 minutes to go there was the minimum, 1-10 to 0-12, between the sides. 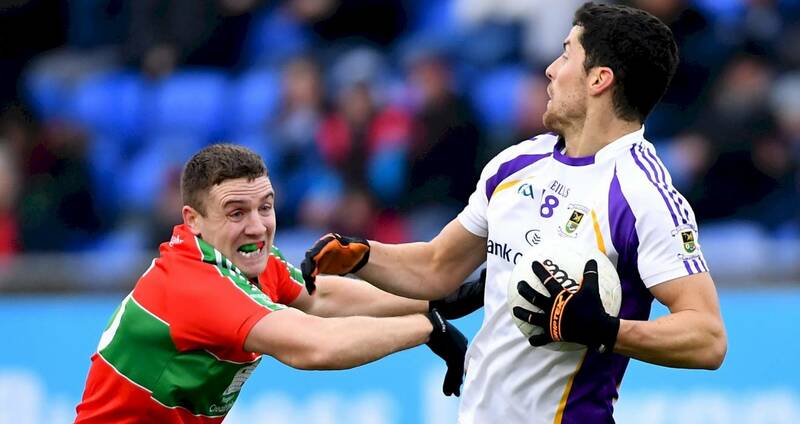 But Crokes, who played without the injured Cian O'Sullivan and Liam Flatman, showed the mark of champions by replying with scores from Mannion and Andrew McGowan to ease the pressure. Furman's second score and another Rock free brought it back to a one-point game again with seven minutes left but Crokes worked their way out of trouble with 1-1 from sub Williams. Crokes now face Na Fianna in two weeks' time while Kickhams will play St Sylvester's in their next SFC1 Group 1 games. SCORERS - Kilmacud Crokes: P Mannion 1-2 (1-0 pen), S Williams 1-1, A McGowan, P Burke (0-3f) 0-3 each, C Pearson 0-2, S Cunningham, C O’Shea 0-1 each. Ballymun Kickhams: D Rock 0-7 (0-5f), T Furman 0-2, A Hubbard, J Whelan, A Swann, L O’Donovan, P Small 0-1 each. KILMACUD CROKES: D Nestor; R McGowan, R O'Carroll, N Nolan; C O'Connor, C O'Shea, A McGowan; C Dias, C Casey; S Horan, S Cunningham, C Pearson; P Mannion, P Burke, D Mullen. Subs: D O'Brien for Pearson (43), S Williams for Burke (50), T Fox for Horan (58), C Russell for Dias (59), R Ryan for Nolan (64). BALLYMUN KICKHAMS: S Currie; P McMahon, E Dolan, J McCarthy; D Conlon, C Keeley, L Young; A Elliot, J Whelan; A Hubbard, D Byrne, A Swann; L O'Donovan, D Rock, P Small. Subs: T Furman for Keeley (ht), A George for Young (ht), D Keating for Conlon (48), D Bolger for Swann (57).